Selena Quintanilla Documentary | Corpus Christi Rocks! READ: The film was edited by myself. I decided to focus on her life rather than her death. Though her murder and murderer are quickly covered, I did not want to make the video about Selena’s tragic ending. Rather, I wanted to honor the life of the singer who taught everyone, that the impossible is always possible. Nava, G. (Director), & Quintanilla, A., Jr. (Producer). (1997). Selena [Motion picture]. United States: Q-Productions. Paredez, D. (2009). Selenidad: Selena, Latinos, and the Performance of Memory. Durham: Duke University Press. Perez, C. (2013). To Selena, with Love (Commemorative ed.). NY, NY: Celebra. Winegarten, R., & Acosta, T. P.(2003). Las Tejanas: 300 Years of History (1st ed., Jack and Doris Smothers Series in Texas History, Life, and Culture, 10 (Book 10)). TX: University of..Texas Press. Richmond, Clint. Selena! : the Phenomenal Life and Tragic Death of the Tejano Music Queen. Pocket Books, 1995. R. Vargas, Deborah. (2007). Selena: Sounding a transnational Latina/o queer imaginary. English language notes. 45. Vargas, Deborah R. “The Chicana/o Cultural Studies Reader.” Find in a Library with WorldCat, 10 Mar. 2018, www.worldcat.org/title/chicanao-cultural-studies-reader/oclc/57549715. Patoski, Joe Nick. Selena: Como La Flor. Berkley Boulevard Books, 1997. Valdez, Carlos. Justice for Selena: the State versus Yolanda Saldivar. Trafford, 2005. Orozco, and CYNTHIA E. “QUINTANILLA PEREZ, SELENA [SELENA].” The Handbook of Texas Online| Texas State Historical Association (TSHA), 31 Aug. 2010, tshaonline.org/handbook/online/articles/fquxg. 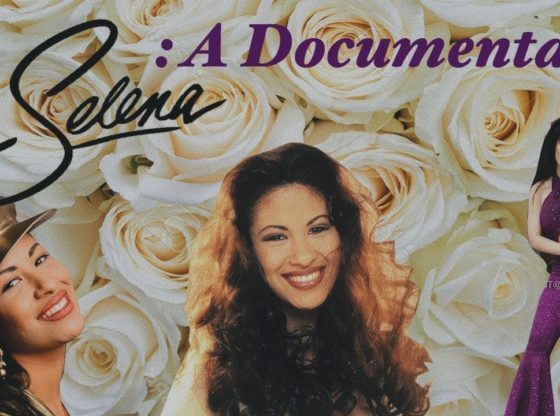 “Selena – Full Episode.” Biography.com, A&E Networks Television, 4 Mar. 2017, www.biography.com/video/selena-full-episode-2074649044. “Especial Siempre Selena (2015) COMPLETO.” YouTube, YouTube, 31 Mar. 2015, www.youtube.com/watch?v=rMGBOEWoOws. If it weren't for the fact that it took place during the same year as O.J. Simpson's sensational murder trial, Selena's shooting would have been the biggest story of 1995 by far. Description: The true story of Selena Quintanilla-Perez, a Texas born tejano singer who rose from cult status to performing at the Astrodome, as well as having chart topping albums on the Latin music charts. Selena Quintanilla-Pérez (Spanish: [seˈlena kintaˈniʝa ˈpeɾes]; April 16, 1971 – March 31, 1995) was an American singer, songwriter, spokesperson, model, actress, and fashion designer.Called the Queen of Tejano music, her contributions to music and fashion made her one of the most celebrated Mexican-American entertainers of the late 20th century. Longoria, who was born in Corpus Christi, Texas, grew up with homemade salsa as a staple in her kitchen and learned from a young age that it should only be created from the freshest ingredients.